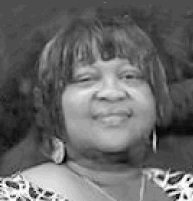 Obituary for Alisia M. Winfrey | House of Wheat Funeral Home, Inc.
WINFREY, Minister Alisia M., age 59, made her transition with the Lord on Wednesday, August 15, 2018. She was born September 2, 1958 to Richard Sr. and Mozell Winfrey. Alisia was a 1976 graduate of Nettie Lee Roth High School. Alisia leaves to cherish her memory a devoted sister, Vernita Winfrey, sister, Jameka Blair; brother, Richard Winfrey, Jr.; father, Richard Winfrey, Sr.; niece, Latoya and nephew, Donte. Homegoing service will be held 11 am Wednesday, August 22, 2018 at Mt. Enon Missionary Baptist Church, 1501 W. Third St. Visitation 9 am at the church until time of service. Family will receive friends one hour prior to service.